It happens from time to time, a misguided impression of me that makes me all sorts of squirmy and uncomfortable. 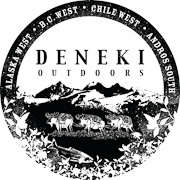 The heebie jeebies come from conversations that cast me and the words fly fishing expert in the same circle. Here’s the truth, the way I see it. 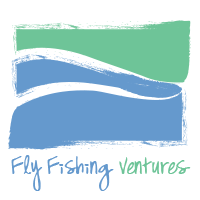 I love to Fly Fish and occasionally I like to write about said activity. I combine the two on a public platform, but that in no way makes me an expert on anything. I just do my thang and happen to share it publicly. Other than this entry that has the word expert in it, I can pretty much guarantee you’ll never hear me claim anything other than — I go Fly Fishing. How people interpret my activities is pretty much out of my control. I get that. But in honor of transparency, let me highlight some harsh differences between Expert and my true fly fishing mode of operation. Camo fly fishing attire, it might catch on! 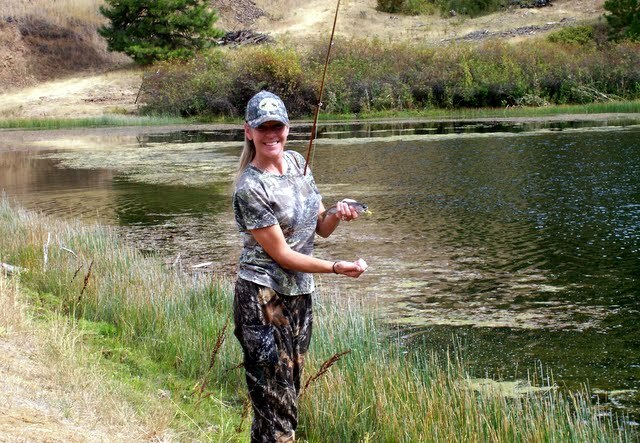 Expert: It can be tricky to pinpoint the expert via their Fly Fishing Attire since I do know of some experts that wouldn’t be caught dead in matchy-matchy magazine worthy attire. However, the expert typically looks the part and you just know it at a mere glance. Rebecca: Is a Fly Fishing Mutt. I wear whatever, whenever and have not signed allegiance to any one brand. In the fashion world, that means I clash. Furthermore, because I don’t care what I look like, I roll down my waders or try to not to fish with them at. Sometimes I look respectable on the river and sometimes I do not. I’m good with that. 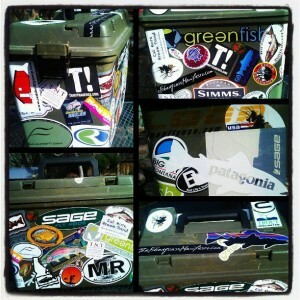 Expert: The Expert knows his gear inside and out and I’d bet my best fly he even cleans his gear religiously. More than likely Z Expert has enough gear to start their own store and can tell you how every single item works, moves, handles and the exact river conditions they are used for. 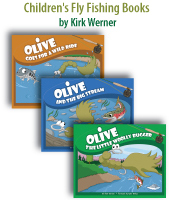 The Expert doesn’t skimp on certain materials for extra snicker bar money and the expert wouldn’t be caught on the riverbanks without every potential fly fishing item in their arsenal. Rebecca: Well I have a few fly rods and I have a few reels, but if you asked me what make, models and series everything is, I’d have to go look at them to make sure I get my specs straight. Some of my gear was spendy and some of it was dirt cheap. I usually show up to a river with 1 set up and hope for the best. Fly Fishing on a budget in my early years made me a master at adjusting to my surroundings out of necessity and to be honest, a 5wt has worked just fine for me over the last 15 years, no matter the river size or situation. Ok…I admit it; I’ve never (ever) cleaned (any) of my gear…. Expert: Not only can they pronounce that word, they are fluent in all things BUG. They can correctly identify every creepy crawler out there, including each separate stage of bug metamorphose. That’s impressive in itself, but add in the fact they can also rattle off the names of 10 flies in their box that would work for the current bug situation and I can only say…I bow to their knowledge. Rebecca: I’ve successfully proved (to myself) all that ento-jibberish isn’t technically required to catch fish. You may disagree, but I’m here to say, you don’t have to know the lingo to catch the fish. You also don’t have to know the technical names of all the flies in your box. You just have to have one in there that comes close to what the fish are feasting on… Match your I can’t name it fly to the whatever it is bug on the water and it works like a charm. 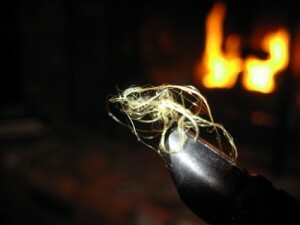 Expert: Of course the expert can whip up any old fly, any old time they run short on the good stuff. This also means they can correctly identify, by exact name, every fly in their box. Rebecca: Tried it. Hated it. (I sucked at it) So I’m sticking with my support the local fly tyer motto. Expert: They know the correct elbow, wrist, hip, head and fly rod movement to achieve maximum casting results. They could teach a class and more than likely, they are certified to do so. They can also name every cast in the book, demonstrate it and teach their casting skills to another. Rebecca: I am self taught, in every sense of the definition of SELF taught. I didn’t read a book or watch a video to learn the basics or anything fly fishing related for that matter. I just walked down a river bank, and started snapping my new fly rod around like a bull whip until I could get the fly line where I wanted it to go. Teaching myself in this manner, without proper instruction/actual casting names/structure/etc… means there are no set mechanics or methods to what I do. 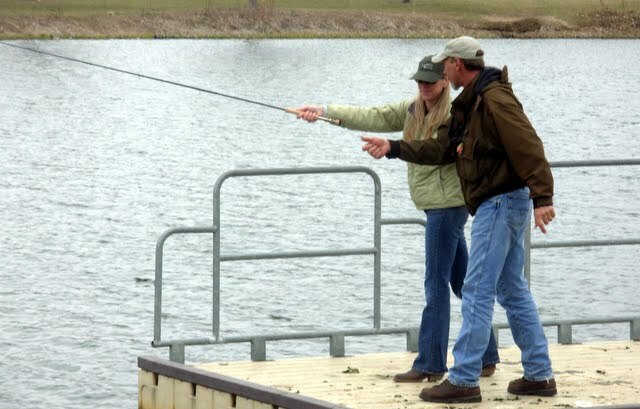 It also means my (bad) casting habits are deeply ingrained and impossible to correct (just ask anyone who’s tried to teach me the proper way of casting) so I just do my thing out on the water. My Thing: I see a fish…I mysteriously cast to it. That’s the extent of my casting repertoire. It works for me but I can’t teach it to someone else. I’ve tried and it ends up sounding like this: So, you just kinda pull your arm back real fast, wait a second and then fling your arm forward. Then hopefully your line will head in that direction over there. Good luck with that and happy to have helped! Clearly the word Expert needs to be assigned to those who are worthy. PS: the above admissions probably call into question whether or not I actually (ever) catch fish, but yes. Yes I do. I know exactly what you mean… in fact, I’ve written a similar post. Great post Bjorn and I get what you are saying….with that being said, since I’ve fished with you I can tell you that being on the boat and seeing your skills, I was 100% impressed by your abilities. I won’t call you an expert, but instead call you a natural at bonefishing. I’m still curious as to that fly you landed your browns on….you know, “that midge fly with a piece of red yarn on it” pattern. OK, I’m pretty sure this is a blog post. I say “pretty sure” due to the philosophical question that must invariably arise in the situation now before us. Clearly, “Fly Breaker” was not a post, and (pardon the expression) flies in the face of all that we hold dear as bloggers. In the wake of such a tragedy, collectively we have to ask ourselves if one effectively cancels out the other. Does “Fly Breaker” nullify “Expert Mode,” or can the latter stand alone as your first post of 2013 while the former heeds the proverbial L’appel du vide? You requested a legit blog post this morning and 45 minutes later I delivered. Can’t we consider my prompt response to your request (demands) a genuine “I’m sorry for the lame fly breaker post so here’s something with more meat” and call a truce? Maybe a break even? Uncle? I might even promise to write another post before 2014 if you say I’m forgiven for slacking off the first part of 2013…. Expert or not, we’ll follow. I think expertise is just a matter of being able to catch fish when and with what ever you can. What a nice looking trout in the photo. 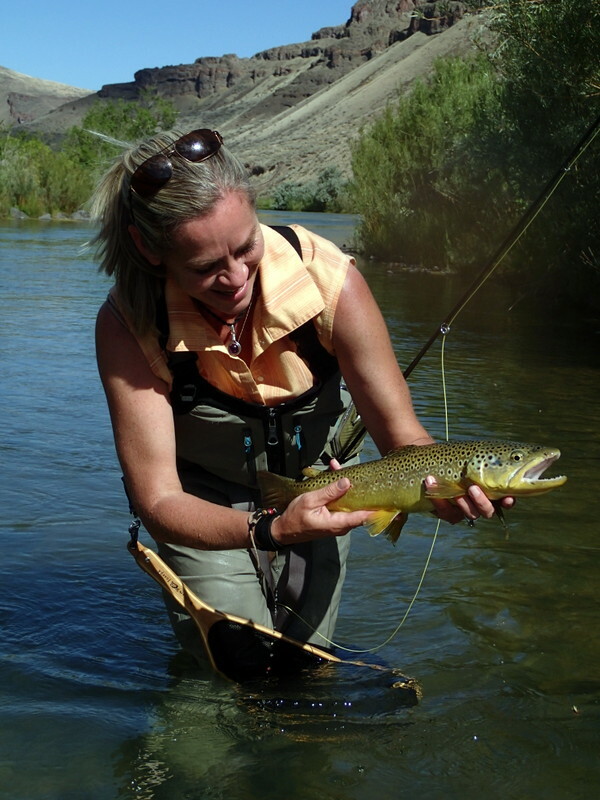 I have always wanted to take up fly fishing as well as taking the patience to tie my own lures…. Beautiful photo in every respect. I never learned to fly fish by the rules, either. And I’m not very correct about hatches. The main thing is sensory immersion and intellectual response–if you do that in your own way, you’ll catch fish. Intuition sort of communicates senses to mind, once you’re familiar enough and knowledgeable about what you do.